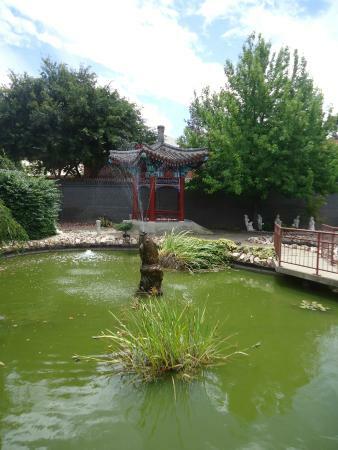 Y is for the Yi Yuan Gardens, known also as the Garden of Joy is located in the forecourt of The Golden Dragon Museum, which celebrates the Chinese contribution to life on the goldfields and in the community, up to the present day. The Yi Yuan Gardens are classical Chinese gardens, made up of traditional Chinese architecture. The gardens are dominated by a lotus pond with fish, surrounded by very decorated sculptures and hand painted murals. 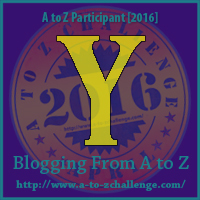 The setting is very calming and tranquil. We visited on a hot summer day, and it was a lovely retreat from the heat. Also, it is surprisingly quiet, even though it is so close to a main road and the CBD of Bendigo. 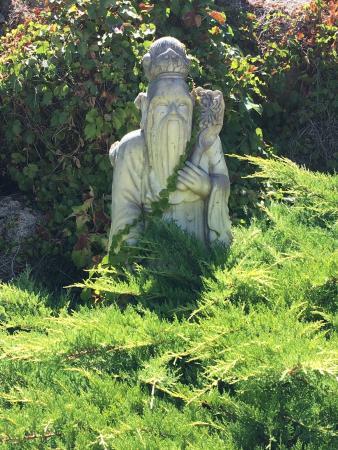 A feature in the garden is the Buddhist Temple and the Guan Yin Miao – Temple of the Goddess of Mercy. This garden is based on a garden in the Imperial Palace in Beijing. Included in the garden along with the pond, sculptures, and temples, are rock formations, trees and flowers. There are peaceful, quiet pockets in the garden, where I thought it possible to imagine that I was the only person there. 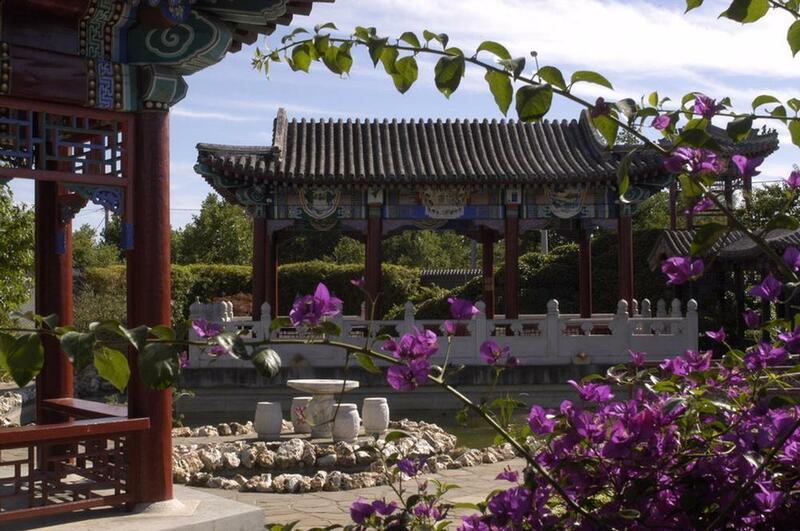 The gardens and the artwork were created by Chinese gardeners and artisans.